Are You Ready To Start Creating A Profitable Relationship Together? To be frank, it’s very simple. We grow our business by helping you to grow yours. Our mission statement is: ‘To help clients maximise profits and minimize tax by providing excellent advice and service. By achieving this we build a strong long term relationship with each and every one of our client’s to the level that they think of us as an invaluable asset in their business. Meaning, ‘we always put you first’. So what are the real tangible benefits to you? Well, there’s quite a few…..
WDM strives to gives your business the competitive advantage it needs and demands. And that’s just another area we will really make the difference. It really doesn’t matter whether you’re a newbie outgrown your accountant, have an established business or you’ve been round the block. We have the team, desire, commitment and experience to know what’s required to create that crucial win-win situation. Just for starters, when you make the decision to become our client you will no longer have to put up with those absurd accountancy bills that a lot of accountants charge …and that’s because all of our fees are FIXED From Day 1, so you’ll never get a shock or any horrible surprises. And to ease your cash flow, you can pay us a low affordable monthly fee rather than having to pay us a bill in one go at the end of the year. You are busy enough running your business, the last thing you should be worrying about is the key filing deadlines. In the highly remote event we do miss a deadline, not only will we pay ALL fines, we will actually give you £200 for the hassle and aggravation So the question is what other accountants do you know that would go to such lengths for their clients? We actively inform you of the best strategies available for your business. …and sincerely cares about building a win-win situation and long-term relationship, then we would love to meet you. What makes our first meeting so different we here you ask…..
We put our money where our mouth is and will be happy to give you £50 made out to any charity of your choice…if, after meeting with us you think it was a complete waste of your time. We’ll then shake hands and wish each other the best of luck … because we’re not just your normal average accountant. It doesn’t matter whether you’re a new start business and want to give yourself the best chance of success, or are an existing business owner looking to get to the next level and are looking for a unique, fresh and successful approach to accountancy, give us a call today. 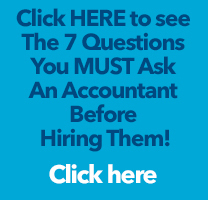 Click here to see The 7 Questions You MUST Ask An Accountant Before Hiring Them! Registered to carry on audit work in the UK and Ireland by The Institute of Chartered Accountants of Scotland. Details about our audit registration can be viewed at www.auditregister.org.uk. We are regulated for a range of investment activities by the Institute of Chartered Accountants of Scotland.